Here we are! Day 3 (technically 2 for us Alice's Antics humans, but let's not tell anybody about that...) So far, so good. I have one blog post out and attempting to balance out writing my next 2000 word essay with prewriting my blog posts so they'll be ready and waiting. It definitely sounds easier than it is, but we'll know if I fail because Blogmas will no longer exist, so let's stay perky for the moment! I thought today I'd have a little natter about my favourite christmassy films. The ones that makes me really super excited and get right in the mood. Those films where if you're not curled up in your pyjamas with a blanket and hot chocolate, you feel like something is missing. In my opinion, festive films are the best types of film in the whole world. Usually there's love, or at the very least a happy ending and there's always snow somewhere involved. Sometimes there's even a song or two. What more could you ask for in a film, really?! These types of lists are definitely not uncommon, but the biggest error blogging humans make is not putting Home Alone first. How can you not? 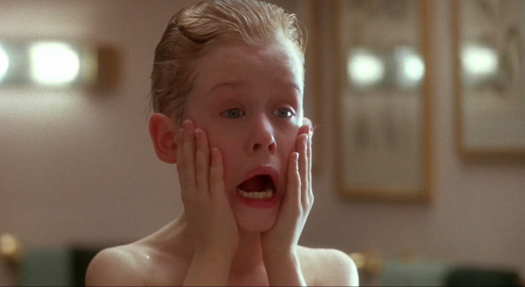 Home Alone is, to me, the greatest Christmas film of all time ever. Yes, including over Elf. I've grown up with this film and it's always going to have a place in my life over the festive period. When I was younger I was terrified of the burglars who try to rob Macaulay Culkin's house (Kevin), and saying 'You're such a Kevin' became a running joke between my family. Basically, Home Alone is my favourite Christmas film of all time and I will always shed a little tear when Kevin and his oh-so-neglectful family are reunited at the end. Before we start on this, I'd like to take a second to mention how the little girl in The Grinch is Taylor Momsen aka Jenny Humphrey from Gossip Girl. Holy Moly. Moving on from that however, and we have the classic Christmas film, set in the fictional Whoville. The Grinch has the best christmas catch lines ever invented, there's a reason the GIF's find themselves on everyones Twitter feeds each year. It's funny, it's cute and Jim Carey is amazing. The Grinch is a classic, and you can completely see why. Oh, Elf. This is the Number 1 film people will call their favourites. The second it's on television everyone is crying with happiness and excitement. I love Elf, although I think people are mad for it to be their favourite christmas film ever, I can totally see the appeal in it. I know this is a huge confession and some people may leave Alice's Antics for good, but I am not a Will Ferrell fan at all. I just don't find his films funny. However, Elf, is the one I can get on board with. I may never get over Zooey Deschanel as a blonde though. This is definitely not a particularly common one, especially outside the UK. Basically it involves Martin Freeman aka Bilbo Baggins, being a primary (kindergarten) school teacher and directing a nativity. This film is mine and my sisters joint favourite. We know the songs in the school play off by heart, we cry with laughter every time despite knowing what's coming, and it's just an amazingly feel good film. It's so completely and utterly far fetched that it might as well be set in a fantasy land, but it doesn't matter, because it just makes for the greatest film. Is this the most depressing film for single people of all time? I think so. Definitely. It definitely is. And yet last week, myself and my flatmate still found ourselves curled up in our pyjamas, hot chocolate in hand under our duvets, ready and waiting for Hugh Grant's voice to grace our screen. Despite the depressing couple-y factor, it is a fab film and there's even a bit of Mariah at the end to cheer everyone else up. It's also got Thomas Brodie-Sangster in it playing a pained-in-love 11 year old, and that makes me happy because he as a human reminds me of childhood from all the films and television shows he was in. The first time I saw The Polar Express was at the cinema and I was a bit scared of it. I remember finding the animation too realistic for my liking. But the soundtrack and the story line and oh, just, everything (except the freaky animation) about this film makes it a great christmas one. 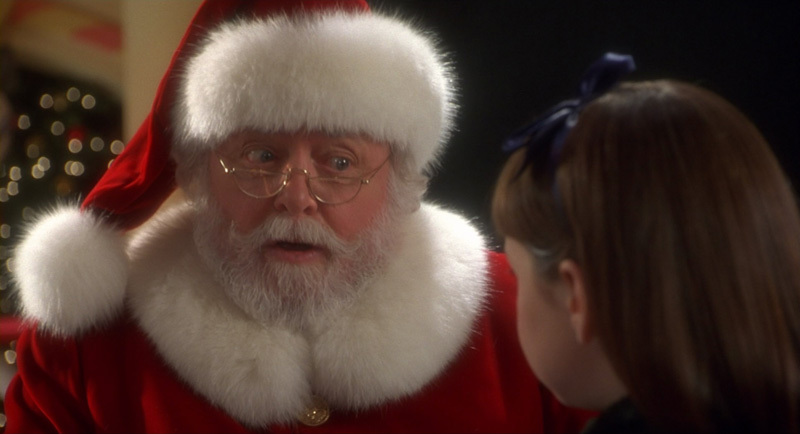 It's also perfect for children, unlike Love Actually, and now that I watch it as a practically-but-not-really adult, I get a bit sad about my loss of the Christmas magic. The Holiday combines some of my favourite actors ever. Kate Winslet, Cameron Diaz, Jude Law, Jack Black. What could go wrong, really? I don't technically think of The Holiday as a strictly christmas film, unlike the rest of the ones on this list, in fact I'm pretty sure I watched it in April with my mum as it was on telly. But this is a great rom-com cosy night in film and there is a teeny tiny weeny bit of it which is believable. Kind of. Not really. Okay, in my dreams. But it does make for a great film. And I really fancy Jude Law, he is in his prime here. I have a confession. I only saw this for the first time last night. But it had to make my list and I know it's a classic to a lot of humans out there. There's also the girl from Matilda in it (the version I watched anyway) so who am I to complain. I'm sure the original is better as that always tends to be the case, but it's a lovely film that may or may not have made me shed a tear at the end. I'm a sucker for a happy ending and this one is probably the loveliest of all the films on this list. If a little sad. Well done to Susan for being the loveliest 6 year old on the planet. And probably the only one in the world who didn't write a 20 strong list to Santa. It's currently 23:59 and I am PRAYING I get this out on time! I know I've missed a lot of classics but these are the main ones I've seen and I hope you like them, if you haven't seen one please check them out, they're just the greatest. I love almost all of them, I haven't seen Grinch (yup..) and Nativity, so don't know much about them but I love the rest!